Lots of sunshine. High 63F. Winds NNE at 10 to 20 mph..
Clear skies. Low 37F. Winds NW at 5 to 10 mph. MANTON — Two female country music acts on the cusp of international stardom will perform in Manton this weekend during the annual Harvest Festival. Claudia Hoyser and Karen Waldrup are scheduled to perform Saturday and Sunday, respectively, at the Manton Station. Event organizer Todd Cozart said in the event of inclement weather, the concerts will be moved to the Manton High School gymnasium. Hoyser grew up in upstate New York, where she spent a lot of time singing and secluding herself in her room to write songs. In a recent phone interview with the Cadillac News, Hoyser said interest in her music has exploded thanks to exposure on social media platforms and terrestrial radio, including local station 100.3 FM The Bull. Hoyser's video series called "Hoyser Country Monday" is attracting more than 600,000 views each week on Facebook, and her version of "Fishin' in the Dark," originally by the Nitty Gritty Dirt Band, has just exceeded 5.5 million unique views. She recently returned from California, where she sang the National Anthem at Dodger Stadium. 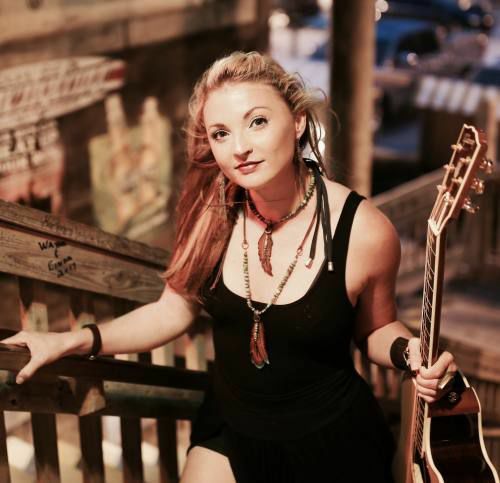 The Harvest Festival show will feature Hoyser performing originals, country classics and contemporary songs woven together with her unique vocal style in an acoustic duo setting. Hoyser said she will be arriving in Manton early to check out the town and meet with fans. Anyone in the area who wants to see her can send a message to her Facebook page. Waldrup is another up-and-coming performer with a growing following of loyal fans. Last year, the Louisiana native became a nearly overnight sensation when her cover of Lee Ann Womack’s “I Hope You Dance‘ garnered more than 24 million views on Facebook. This will be Waldrup's second visit to Manton. In September 2017, Waldrup performed at an event to raise money for the Manton Fire Department. Cozart said both performers will "blow you away" with their songwriting skills and raw performing talent. "They really rock the stage," Cozart said. In addition to the music, the Manton Harvest Festival also will offer plenty of other attractions, including kids games, a Midway, lumberjack competition, and pancake breakfast. For more information, look up Manton Harvest Festival on Facebook or email Manton.harvestfest@gmail.com.